Do you want the romantic feel of Paris with the warmth and relaxation of the Caribbean? If so, the island of Martinique may be your perfect honeymoon destination. Also known as Ile aux Fleurs (Island of Flowers), Martinique is one of most picturesque of the Caribbean isles. White sand beaches and stunning natural beauty makes it a favorite for couples looking for a relaxing getaway with a Parisian flare. Best Time to Visit – The best time to visit Martinique is either May or June. The summer hurricane season has yet to arrive and the island is less crowded (and less expensive) than during peak season. Peak Season – The peak season is December through April. During these months, there will be larger crowds and traffic on the island and higher mark-up prices on travel and lodging. Largest City – Martinique’s largest city, Fort-de-France, is a bustling urban area featuring historic French architecture and is accessible by road from any part of the island. It is located on Martinique’s west coast and is situated on the Fort-de-France Bay, at the mouth of the Madame River. Best Sightseeing Spots – Martinique is a beautiful mix of both natural beauty and historical interest. One must-see spot is the island’s large volcano – Mont Pelee. Scale to the top of this active volcano to experience a breathtaking view of the island. To learn more about the history and culture of Martinique make sure to visit Anse Cafard Slave Memorial, Schoelcher Library, and the St. Louis Cathedral. Best Romantic Spots – For some much needed relaxation after the stress of planning a wedding visit Diamond Beach in the town of Le Diamant. It offers the beauty and calmness of a tropical beach without the crowds of the more popular Les Salines beach. Honeymooners will also want to enjoy some of the best island cuisine in the Caribbean. One of the most raved spots is Le Willkat. It features traditional French cuisine along with creole specialties. Just make sure to call for a reservation as Le Willkat only seats 20. Where to Stay – When honeymooning in Martinique, there are many wonderful hotels for couples to choose from. Often considered of the most luxurious is Cap Est Lagoon Resort & Spa. If features a spa, bar, and two restaurants along with 50 private suites divided among 18 villas. Club Med Buccaneer’s Creek and Hotel Bakoua are two other popular choices on the island with both receiving high satisfaction ratings from visitors. Transportation – Martinique can be easily enjoyed by car. While you could hire a taxi for each excursion renting a car may be a better, less-expensive alternative. For a break from driving, the east coast marina’s also offer romantic ferry rides. To discover more about Martinique and the beauty it offers, contact the team at Windermere Elegant Weddings. 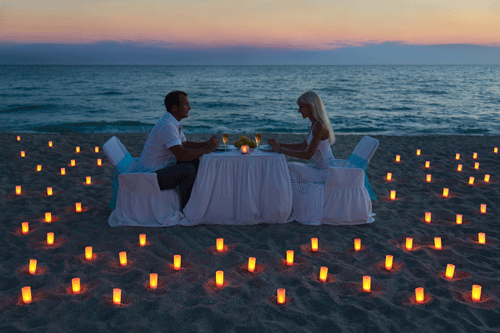 We specialize in helping couples plan their perfect Caribbean destination wedding or honeymoon. Contact us to learn more about the many services we provide.